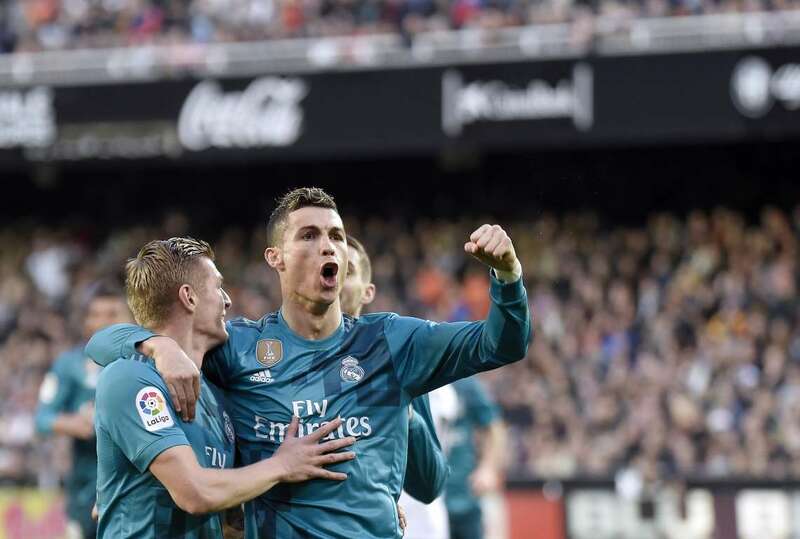 Real Madrid's Toni Kroos celebrates a goal with Cristiano Ronaldo during the La Liga match against Valencia on Saturday in Valencia. Real Madrid won 4-1. Photos - U.S. Daily News: A Real win!